The combined cycle power plant is power plant which consists of two power cycles. In Brayton cycle Gas turbine is powered by gas to spin the generator and produce electrical power. In this cycle Gas turbine also can be power by furnace oil or High speed diesel. The efficiency of brayton cycles gas turbines is up to 40%. The other cycle is called HRSG (Heat recovery steam generation). In this process, steam is generated from the exhaust of gas turbine and this is fed to steam turbine to spin the attached generator. The temperature of exhaust is too high near 650c which is enough to generate useable steam. overall efficiency of power plant is increased from 40% to 54%. There are many other accessories for combined cycle power plant which work with parallel as like auxiliary pumps for fuel, water , lube oil, air intake etc. 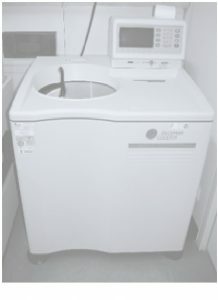 rankine cycle for detailed procedure. 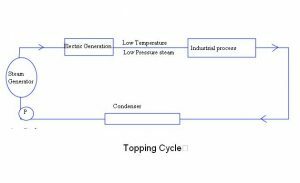 rankine cycle is cycle of steam power plant which is explained cycle by cycle. A steam turbine power plant converts the energy of the fuel into the shaft work continuously and ultimately from the shaft work, electricity is produced. In the boiler, there is combustion of fuel (fossil fuel) like oil, natural gas, and coal or fissile fuel such as Uranium or Thorium to produce steam. In the combustion process, heat generated is supplied to the boiler which is a heat exchanger. Boiler is a tube separating two fluids by a walls and thermal conductivity of this wall is very high. In the Nuclear Power plant, the furnace is replaced by Nuclear reactor. The steam is produced at very high temperature and pressure which expands in steam turbine to produce Mechanical energy and the electrical energy. Wt is the shaft work, which is form of mechanical energy. Steam coming from the turbine is fed to the condenser where condensation of the steam takes place. Here heat is extracted from steam to convert it into liquid. Steam emitted from the turbine has both liquid and vapor phases. River or see water can be used to extract heat from steam and there is change of phase from vapor to liquid. If no river or see is present in nearby area, cooling tower is needed to supply cold water to condenser. The pressure inside the condenser is 10% of the atmospheric pressure. So, a pump is used to raise the pressure from condenser pressure to boiler pressure. Therefore steam turbine power plant work in a sequence. And the cycle is going on repeatedly. The production of electric power and heat in a single unit is called co-generation. Co-generation is applicable to the industries like paper, Textile, sugar, chemical, cement etc. Isothermal process is maintained by steam as it is the best fluid to maintain constant temperature. The constant process is maintained by using its latent heat of vaporization. Process is good for safety point of view. For example in inflammable environment, e.g in oil refinery, the direct heat can blow up the whole plant. Steam use for this process is safe. Feasibility of the plant must be seen before choosing a cogeneration plant. 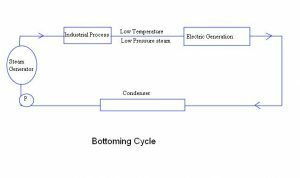 There are two types of cogeneration cycle. 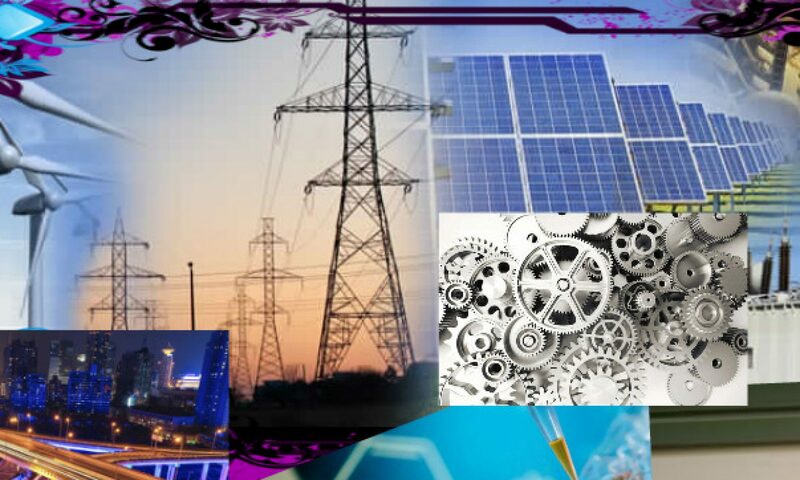 It is cycle where main emphasis is on the production of electricity. High grade steam is used to generate power and then low grade steam is used in industrial process. Topping cycle finds its application in process industry. Here the steam generated by the steam generator is mainly utilized in the Industrial process and then the steam from the discharge of industrial process is used to generate electricity. Band pass filter is terminology which is used in telecommunication. Filter is device which passes or stops specific things. Filter: Filter is as like net used to catch fishes or birds or beasts etc. Filter is also used for water purification. Here terminology used for filter, is for telecommunication. This filter is electronics circuit which passes or stops the specific frequency. Band: As written up, here things are discussed are about the telecommunication. Band is range of frequencies. as like from 2 hz to 10 hz. this is called band. Automatic transfer switch or in short ATS is an electronic circuit which is attached with generator. It operates generator automatically when there is outage of power from the utility. In this circuit there are comparators which look at the line voltage and when the line voltage of utility goes down they switch on the generator and when voltage of generator get stable, they switch on the contactor of main supply to load and thus there is no need for generator operator for all time. Battery is main power source for this panel for operation or self start of generator. The other work it does, is to maintain the voltage level and if the level goes down it cut off the line and starts the generator. This is how Automatic transfer switch work. Audio frequency is frequency which can be heard by human or animals. Its range is 4k hz to 20khz. All humans and animal which have audible sound have frequency of voice in this range. The voice, which have more or less frequency than this range it can’t be heard. In telecommunication transmission is done in high frequencies for fast transmission. These messages or data is then converted to audible frequency for hearing. As like television when its data is transmitted, it is in high frequency but when television set receive and decodes the data and convert it to visible and audible messages. it produces audible message in range these frequencies. So it is called audio frequency. Apparent power is electrical power summed up of two powers, real power and reactive power. Real power is power which is actually used by devices , machines, instruments etc in form of heat or magnetic field. it also can be used in other farms as storages like batteries, capacitors, inductors etc. AC power has two components real power and reactive power. Apparent power is power which appears on the terminal of ac load like motors mostly. Apparent power is measured in VA,KVA MVA. All the generators are rated in KVA , VA or MVA. Apparent power is sum of reactive and real powers. Reactive power is always present but it is not used. Reactive power is always transmitted back to the system or generator while real power is used by the load. All inductive load or lagging power factor loads transmits reactive power back to the system. Only resistive load like lights or heaters etc don’t use reactive powers but real power. which describes best about electrical power triangle. Analog to digital converter is electronic circuit which make analog signal into digital. in other words we can say that ADC is basic and very important circuit in modern era of life. when we speak ,microphone produce analog signal. this signal is then amplified and then before transmission, it is converted to digital form. Analog signal is continuous signal as like sine wave, sawtooth wave etc while digital signal is discrete signal in the form of 1 and 0. Any of the input or analog signal is converted to digital if transmitted. There are a lot of methods to convert the analog signal into digital form. Mostly used methods are comparators. In comparator one reference voltage is given while on other terminal signal is provided. 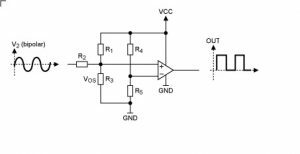 This comparator gives output if signal voltage is greater or equal to the reference as 1 and 0 vice versa. Here also keep in mind that resolution of digital signal is also important. 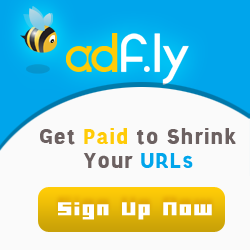 It mean the signal you are converting into digital form, how many bits signal do you want. one bit, 2 bit,4bit,8bit,16bit 32 bit 64 bit etc. Now a days laptop and window are operation on 64 bit processors. 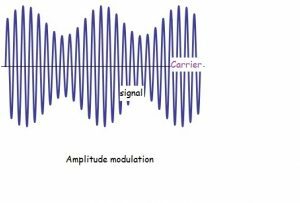 Modulation is method to impose signal on carrier frequency. There are many methods to do this. Amplitude modulation is one of those methods. In this method signal and carrier frequency are mixed in such a way that amplitude of carrier frequency changes according to signal. This is very old method. In this method there is a lot of noise. in simple it is also called AM modulation. Its range according to other methods is long for transmission but there is lot of noise which is added automatically. It circuit and working is very simple. it is shown in figure. Keep in mind when amplitude modulation is done there are two signal bands. One upper side band and other lower side band. One of these bands are transmitted some time both of the bands are transmitted and in receiver one band is suppressed and other is demodulated to get signal. In old system of radio there was AM modulation used. Now it is also used but very rarely. Its is a process in which components are separate on basis of size ,shape, length, density ( in other words its is a separation process of material).its is a machine which is use in science laboratory such as biotechnology lab. in this apparatus DNA ,RNA, amino acids and protein are separated by plant or animals cell or tissue (bacterial genetic material also be separated). 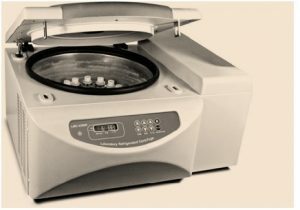 a).in this centrifuge without chill solution can be separated. d).100 eppnodroff tube are can be loaded in a time. a).90,000 eppnodroff tube are loaded.